Woonona-Bulli RSL Club, 10.45am for service at 11am. March from IGA car park to the cenotaph at Woonona-Bulli RSL Club. For more information call Robert Price on 0448 995 070. Corrimal RSL Pre-commemorative, 1.30pm, departs 1.45pm. March to ANZAC Grove and return to RSL Club following service. For more information call John Simpson on 0403 928 506. Vietnam Memorial ANZAC Day Service 6.30pm, Vietnam Veterans Memorial, Flagstaff Hill, Wollongong. For more information call Murray Claydon on (02) 4228 6774 or 0413 049 041. 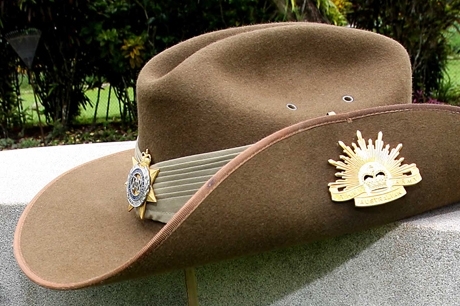 ANZAC Day Dawn Service 4.45am Wollongong Cenotaph, MacCabe Park (forming outside City Diggers). For more information call (02) 4225 9818. Corrimal RSL Dawn Service 5.45am. March from Corrimal RSL to ANZAC Grove for service, and return to RSL. For more information call John Simpson on 0403 928 506. Coledale RSL Dawn Service 5.50am, service at 6am. Meet at Coledale Newsagency at 5.50am for march to Coledale RSL. Service followed by breakfast for gold coin donation. For more information call (02) 4267 1873. Austinmer RSL Sub-Branch 5.50am, service at 6am. March from area adjacent to Austinmer Surf Club to Austinmer War Memorial. For more information call Warren Helson on 0412 631 258 or (02) 4285 6200. Woonona-Bulli RSL Club 5.45am, service at 6am. March from IGA car park to the cenotaph at Woonona-Bulli RSL Club. For more information call Robert Price on 0448 995 070. ANZAC Day City March 10am. Commences at the southern end of Church Street, along to Cenotaph, then along Burelli Street for service at Wollongong Town Hall. For more information call (02) 4225 9818.